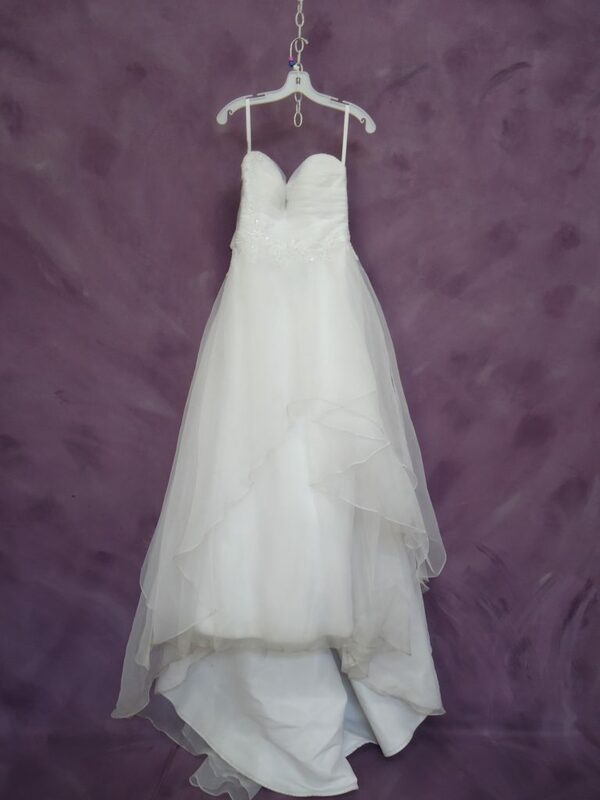 This “before-and-after” gives you a behind-the-scenes perspective into our wedding dress cleaning process. 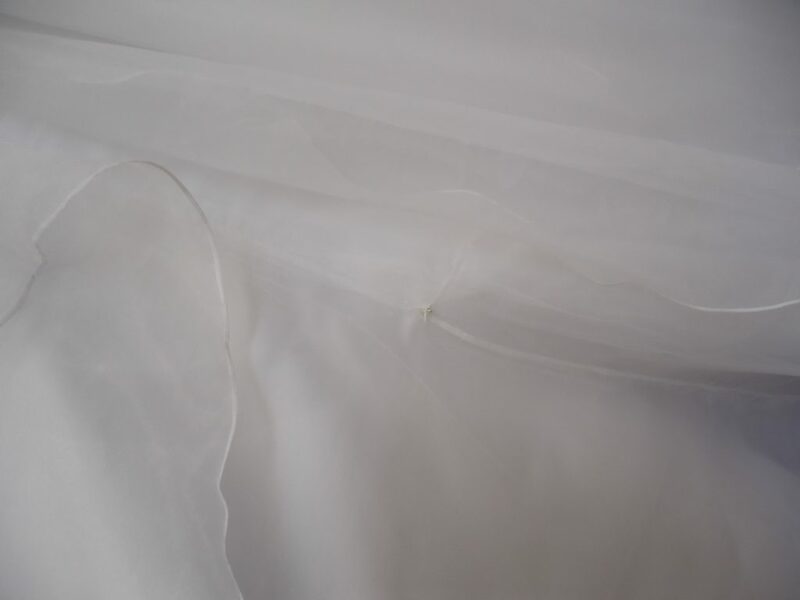 Follow along with the steps we take and watch this dress become beautiful again! 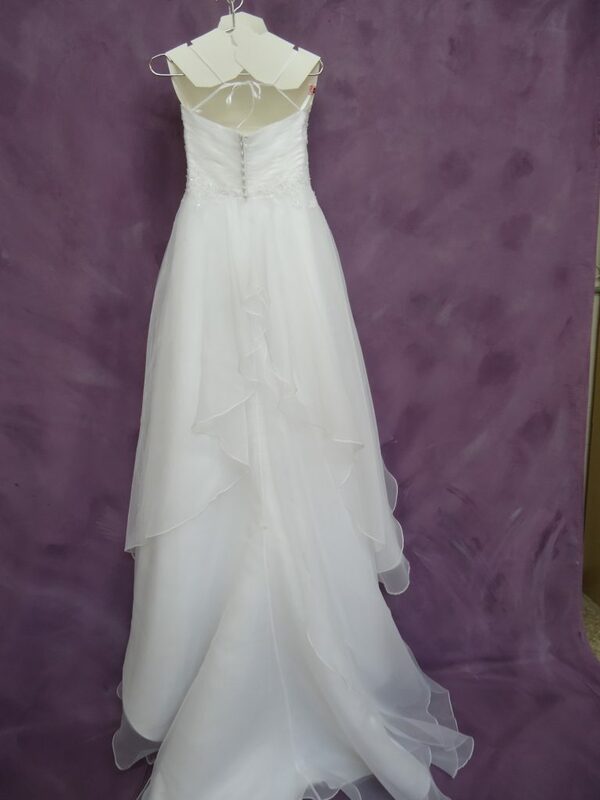 This gown in particular has a few red flags we had to identify: delicate fabric including intricate beading, excessive staining along the hemline, staining from sweat and makeup inside the bodice and around the armpits, and several tears*. Makeup and sweat stains on inside of bodice and near armpits. Dirt and staining along the hemline. *It happens, a snag, a loose button, or worse! 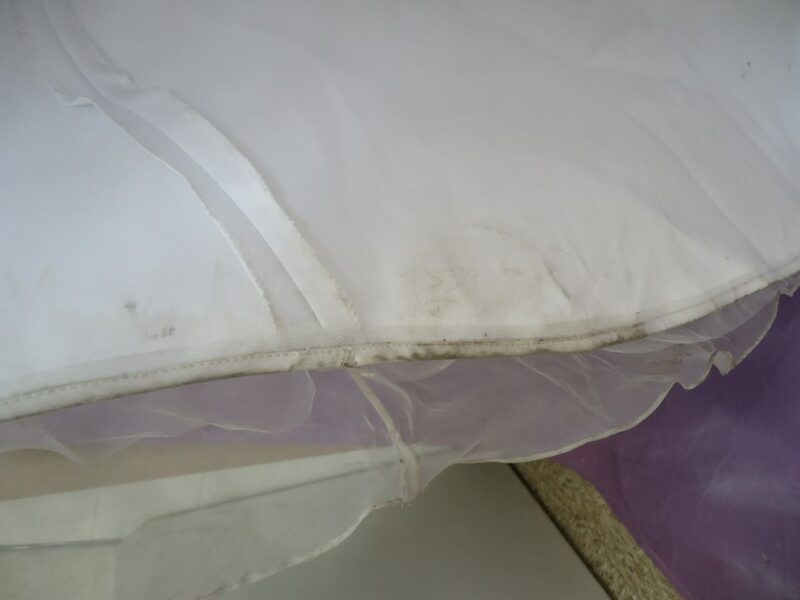 Your beautiful wedding dress can sustain some damage on your wedding day. 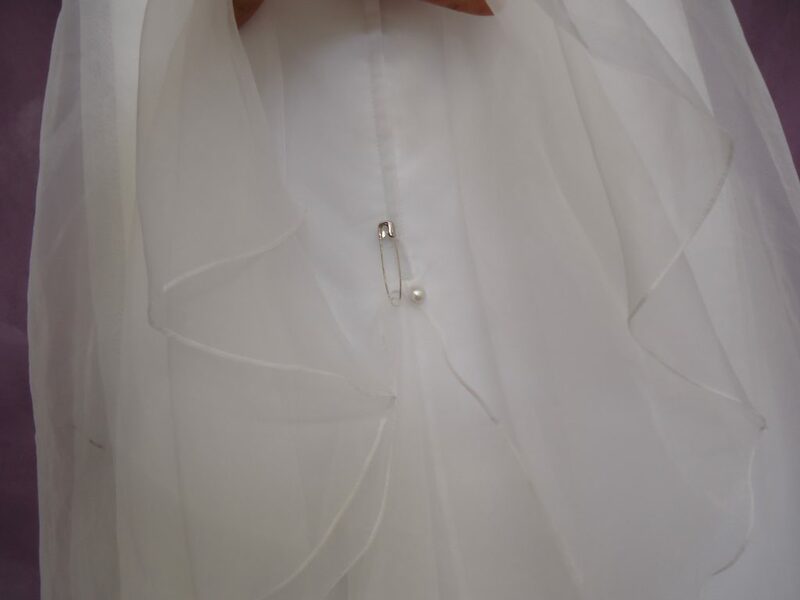 Don’t worry, our expert seamstresses can repair your wedding gown before it is preserved. 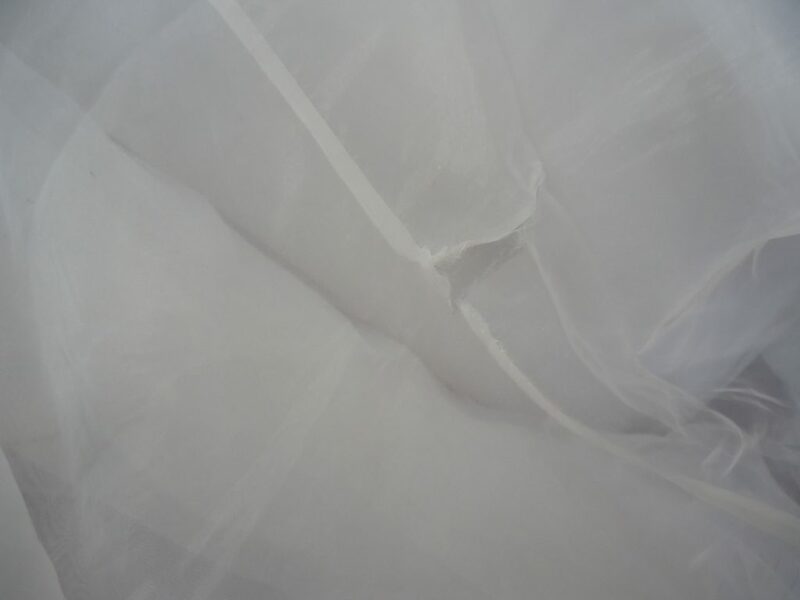 Heritage Couture™ packages include up to 3 hours of repairs. Repairs are also available for for Heritage Select™ orders for an additional charge. 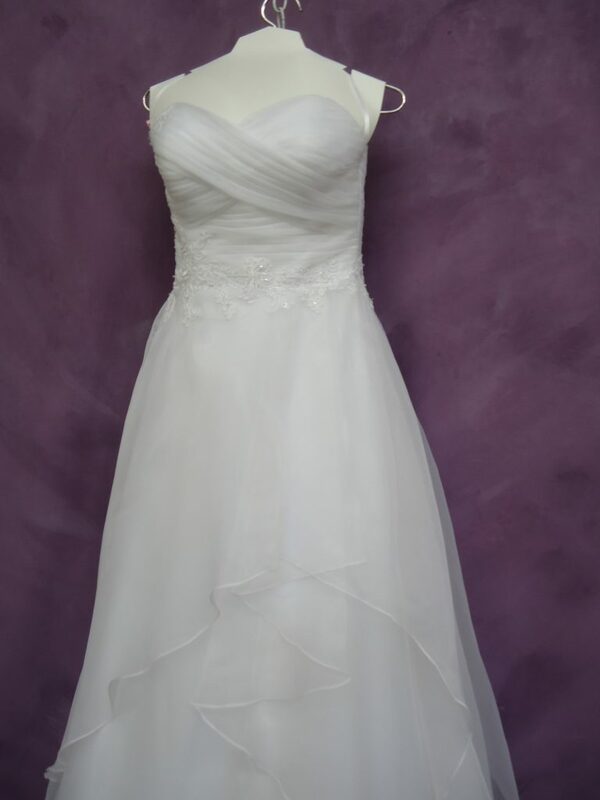 Our gown care experts will hand press your wedding gown. Many companies will lightly steam your dress, but we have found the hand pressing does a much better job. Beads and sequins are very safe with our careful pressing! 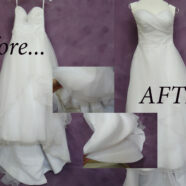 Before and after of hemline.